Alessia Oddone is an Italian Avvocato and an English Solicitor. Over her more than 20-year career, she alternated between private practice and in-house legal departments in Italy, the United Kingdom and Switzerland, always working in international and multicultural corporate environments. Since 2017 she has been working with CastaldiPartners. 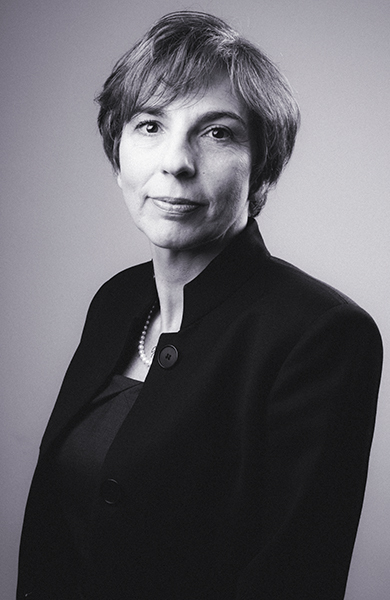 In 1993 Alessia Oddone started out her career in Italy with a law firm specialised in international commercial law. In 2000 she moved to the United Kingdom, where she qualified as a solicitor. First she worked with a law firm and then in-house, acquiring a significant experience in the areas of manufacturing and sale of industrial and consumer goods. During her activity as in-house lawyer, Alessia Oddone was in charge of legal departments, managed teams and created legal processes, risk monitoring systems and compliance programmes, contributing to the strategic direction of the business. Today, as a manager of CastaldiPartners, Alessia continues to assist her clients with the same corporate spirit and mentality that marked her work as in-house counsel. She is bilingual Italian and English, and has a good knowledge of French and Spanish. Creation and implementation of antitrust compliance programmes in the EMEA region, with particular focus on exclusive and selective distribution, sale agreements and staff training. Legal support to the direct sale of consumer goods in a multi-channel sales environment (stores, shop-in-shop and e-commerce), with a particular focus on international retail expansion. Legal support to the indirect sale of consumer goods through the development and management of a selective distribution system and a network of resellers in specialised sectors. Legal management of a worldwide network of distributors of industrial equipment. Advice on product safety and product liability matters; creation of a product liability claims management programme and supervision of a claim handling team; legal management of product safety issues; maintenance of the relations with surveillance authorities. Advice on consumer law issues and supervision of the legal activities of a consumer support team. Evaluation and minimization of legal risks in EMEA through the creation and implementation of compliance programmes, corporate procedures, corrective measures and training plans. Particular focus on anti-corruption matters, export sanctions, privacy and the Italian Law No. 231. Support to the activity of a manufacturing site in the United Kingdom with particular focus on procurement and supply chain issues. Advice on a variety of business matters, including antitrust, marketing, advertising, sales, purchasing, intellectual property, privacy, e-commerce and social media. Drafting, reviewing and negotiating international commercial contracts including, among others, distribution, sales, purchasing, services, manufacturing, collaboration, research and development.